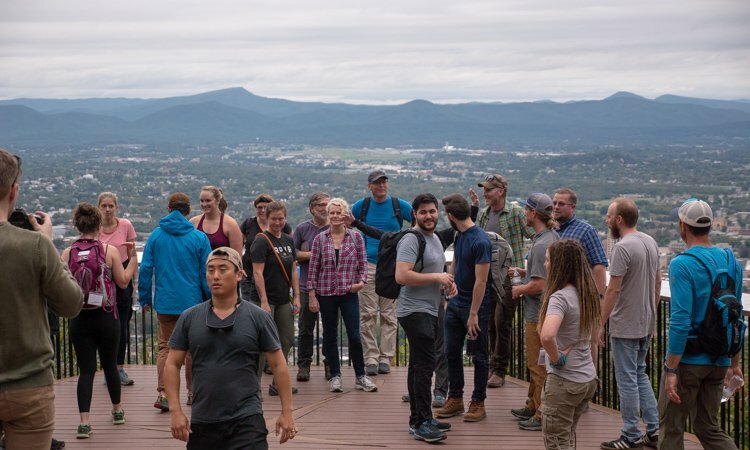 Over the past week in the crisp air of Virginia’s Blue Ridge, bloggers, media, gear nerds, and outdoor professionals met at the Outdoor Media Summit to talk shop on all things outdoors. The days were filled with talks from pros in their field, time spent catching up with friends in the industry, and meeting future colleagues. While we stayed busy, we made sure to set aside time to hike and explore the beautiful trails that Roanoke, Virginia has to offer. Adventure and the internet, they go hand in hand. 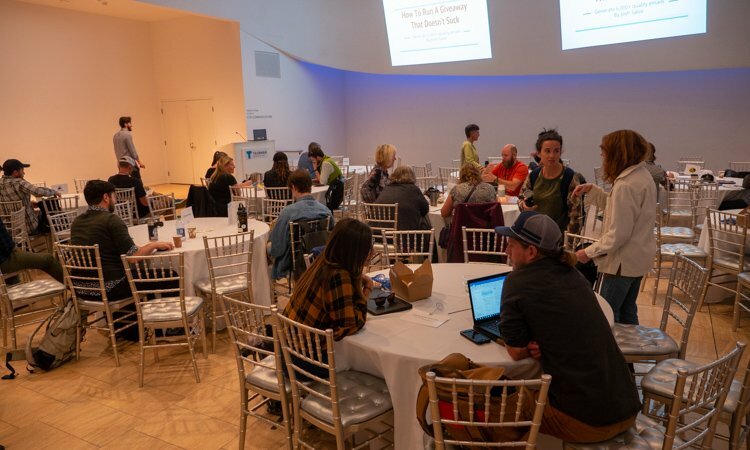 Between the scavenger hunts, small group chats, Q+A sessions and 60-second speed dating, the Live Outside and Play road team learned a plethora of useful information not just for bloggers, but all media professionals in general. 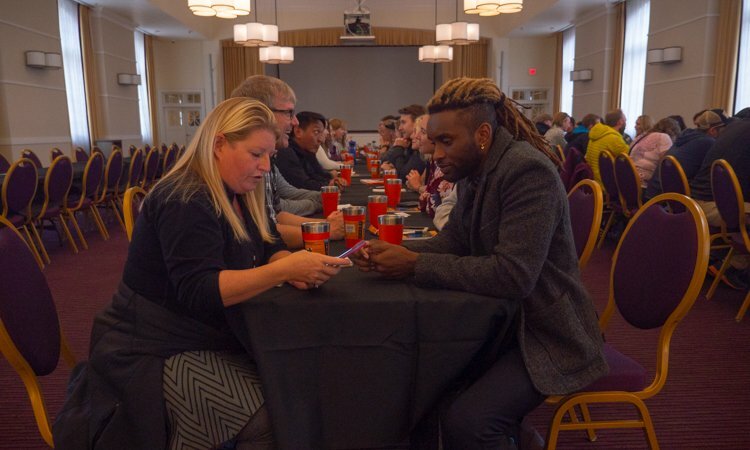 Find below ten examples of new things we learned while attending the Summit. 1. You see this blog organization? Google LOVES well-organized blogs, with easy to ‘scan’ content. Blogs with clear headings and subheadings (use WordPress built-in features to make it easy on yourself!) will score much higher on SEO ratings and Google will push them to the top. You want to be on that first page of results! Thank you to Colin Obrien for sharing tips during the 10 SEO Tips for 2018 lecture. When you post your beautiful photo on Instagram, make sure to get your 30 hashtags in! But also make sure they are curated to your post, and not overly popular (meaning hashtags with over 1 million tags). Keep them simple, but unique. And don’t be afraid to use hashtags of simpler things in other languages. Thank you to Derek Wolf during the Strategies to Grow Your Instagram Handle lecture for this one. 3. When pitching to an editor, streamline your story. Editors get hundreds of emails a day. When you are pitching a story to a publication, make sure it is applicable to that media outlet. If you’re pitching a Moab desert story to powder.com, it’s not going to go over well. Thank you to Kristin Hostetter of Snews during The Do’s and Dont’s of Working with a Busy Editor discussion for that tip. 4. Gear can have multiple lives. If you are a gear tester, give the companies your gear testing for some extra love by using your lightly loved gear in a promoted giveaway. Your subscribers get some awesome gear, and your partnered companies get an extra boost. Win, win, win! Thank you Stephen Regenold during the discussion, Too Much Gear! What to do with all that Leftover Review Swag for this tidbit. 5. Be a good participant. Everyone loves a great press trip! But if you’re too drunk to experience the place you’ve been sent to, you’re gonna find yourself on the blacklist. And the blacklist is real. We learned from Jenny Willden during the lecture Get on More Press Trips to always be a good participant. Tourism boards always remember. Jamie King presented her entire lecture in Insta Story format during Strategies for Growing Your Instagram Handle, just to emphasize how important they really are. If you are working on your Instafame, you best be working on your InstaStories as well. Use all the options they offer, stickers, gifs, geotags, hashtags. The more the merrier! 7. Engagement at its finest. When running an online giveaway, make sure to give the option of more sign-ups through engagement. Send them to your facebook and Instagram to look around. Encourage them to share the giveaway with their friends via email. Have a direct link to your main site so they can snoop around there. They’ve already made it as far as signing up for your contest, best to keep them coming back for more! Thanks to Josh Salvo during the How to Generate 6000+ Quality Emails from a Giveaway lecture for this tip. 8. Yoast SEO is your bestie. Search Engine Optimization (SEO) is a complicated beast. During the discussion with Colin Obrien during 10 SEO Tips for 2018, he let us know that if you’re using word press with the Yoast SEO plugin, you’re 90 percent of the way there. Download the plugin, try to get all your available smiley faces to green by following the suggestions it generates, and post your blog stress-free. As an inside look, this blog has green ‘readability’ and with the focus word “summit”, it’s got green there as well. Humans are creatures of habit. And when their favorite Instastar posts content at the same time every day, it gets noticed. Be predictable, and don’t be afraid to post more than once (it hasn’t been proven to affect the algorithm). But make sure it’s always at the same time! Even when you change time zones – it’s THAT important. Thank you to Derek Wolf during the Strategies for Growing Your Instagram Handle lecture for this tip. 10. Make friends, then business partners. In this technological age and outdoor sphere, it’s easy to get lost in numbers, followers, and deadlines. But there are real humans behind these Instagram accounts, popular blogs, and publications. If you treat others like humans with kindness and interest, they will respond with the same. 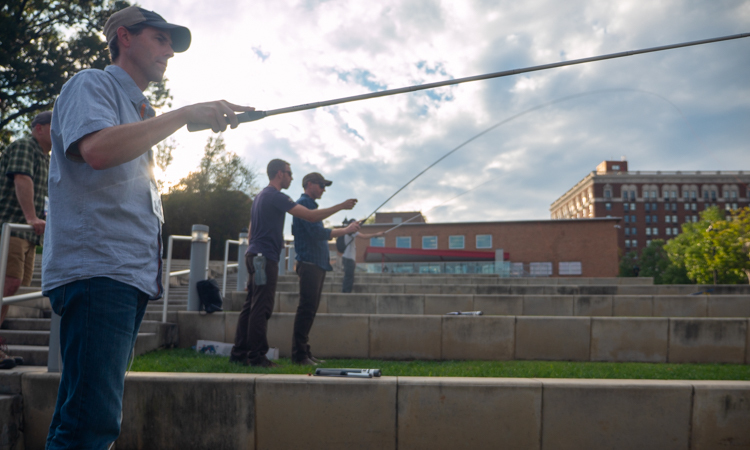 If we only learned one thing at the Outdoor Media Summit, it’s that most people in this niche market are just like us, looking for adventure, a craft beer, and relaxing conversation. Thank you to the Outdoor Media Summit for getting some incredible people together for a great couple of days. On to the next adventure! 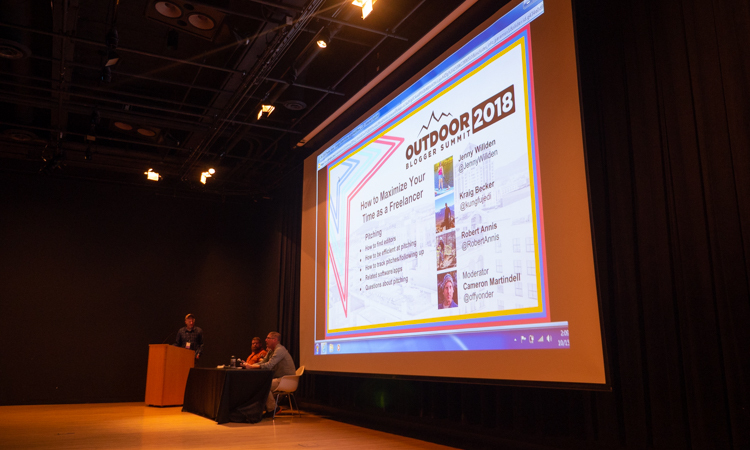 We want to send a huge thank you to Visit Virginia’s Blue Ridge for your support at the conference, and the Outdoor Media Summit for running the event. We enjoyed Roanoke, learned a ton, and met wonderful people along the way.